Here at Titan Auto Glass – Garland, we offer complete windshield repair & auto glass replacement in Garland, Texas. This includes auto glass for all car and truck front windshields, side door glass, vent glass, quarter glass and back windshield glass. With our convenient in-shop auto glass service and free mobile service, quality auto glass and certified auto glass technicians, Titan Auto Glass provides the best in service. Our Windshield Repair and auto glass services meet Federal Vehicle Safety Standards. We follow factory approved auto glass installation methods in order to ensure your auto glass is installed with quality and safety of your vehicle in mind. We realize that you are busy and a windshield or door window issue takes up your valuable time. We also realize that a broken windshield or door glass means you are unable to drive your vehicle. Our convenient free mobile service allows you to utilize our windshield repair and auto glass services at your vehicle’s location. Windshield damage is frustrating and can cause many issues from the safety of your automobile to tickets by law enforcement – now you need to get your windshield fixed. The good news is that if you have a chipped or cracked windshield damage that is the size of a quarter or smaller, a quick auto glass windshield repair may be all you need. That is why Titan has the top industry trained auto glass experts serving you where you live and work in Garland, Texas. We use the Finest Original Equipment Quality Parts & Adhesives for auto glass Windshield Replacement. At Titan Auto Glass you can be sure your vehicle is in good hands. 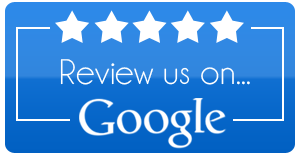 We have the reputation of providing the best auto glass Windshield Replacement in Garland, TX. Our certified auto glass technicians are fast, reliable and courteous. So if you need a windshield replacement in Garland, you can count on us to get the job done right. As an industry leader in auto glass replacement, Titan provides a full warranty on our auto glass installation and ensures it will be properly installed and free of leaks. If your power windows are acting strange or are no longer responding correctly to their controls, call us for our window regulator replacement service which service all of Garland, Texas. In addition to letting air into your vehicle on a hot day, power windows are convenient if driving through a toll booth or drive-thru. We know the different components that make a power window system work, and we have the right tools to replace the window regulator.